PHUKET: A Phuket man wanted for his possible involvement in a fatal shooting at a New Year party in Phatthalung was found at his home in Wichit early this morning (Jan 17) and taken back to Phatthalung to face charges. 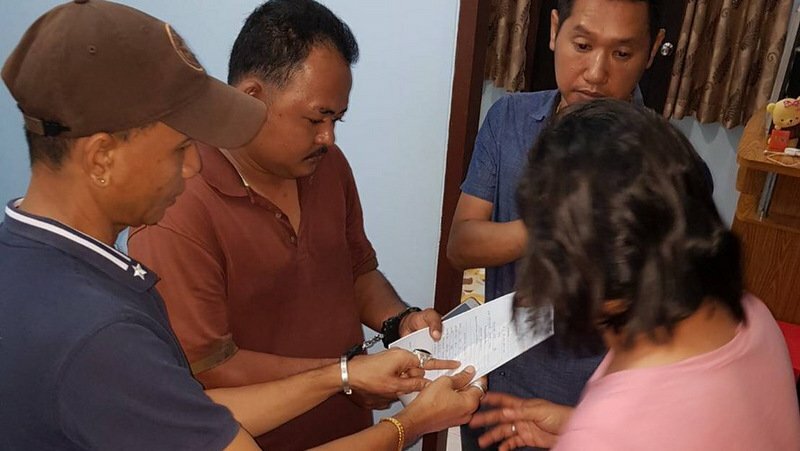 Phuket Provincial Police Commander Maj Gen Wisan Panmanee led police officers to a house in Semsub Village at 12:30am upon receiving a warrant from Phatthalung Provincial Court for the arrest of Channarong Sungharn, 33. Gen Wisan said “I led officers to the house in Sermsub Village, Wichit, where we found a man fitting the suspect’s description in front of the house. Channarong was taken to Bang Kaeo Police Station in Phatthalung, where the case is being investigated. Channarong is suspected of killing Siripong Konglaem, 41, at a New Year party held at Channarong’s father’s house, which is also a car repair shop, on the night of Dec. 31, 2018. The party was attended by around 100 friends and relatives who were socialising and taking part in karaoke when an altercation broke out at one of the tables. During the altercation Mr Siripong was fatally shot twice with a 9mm handgun, once in the right ear and once on the right side of his chin. The party came to an abrupt end as guests fled in a panic. Police were called and arrived to find two 9mm shells at the scene which were collected as evidence. After the incident, Channarong returned to his home in Phuket, where he lives with his family. Police are still hunting the suspect’s brother, Ruttichai Sungharn, 31, who is alleged to also have been involved in the shooting. Yes, compare the number of Generals in the usa and thai army, and project that on number of soldiers and subaltern officers. Amazing Thailand. And many generals in thailand not even have a office. Thailand- where a General goes out to do a Sgt's job! !